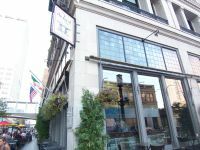 Located downtown on Nicollet Mall, The Local Irish Pub is a truly unique and authentic Irish pub experience with a huge emphasis on Irish hospitality. 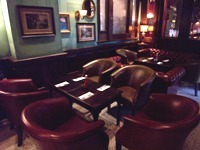 They have been rated the #1 Jameson Irish Whiskey Bar in the World, and have been the #1 in America since 2005. They have the longest happy hour in town from 10:30am-6pm. 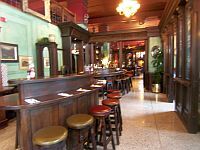 They pride themselves as a relaxing and casual place to come in for a few pints, some delicious food, and warm and friendly service. 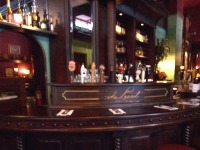 The Local is great trendy nightspot and unique Irish experience, but very family friendly during dinner time. The tasty appetizers are made to share or not, great soups and salads, hearty entrees, and superb sandwiches. All pints are served in 20oz tulip glasses, and check out their signature “Big Ginger” which has 2 full shots of Jameson, ginger ale and lemon and lime wedges. Party rooms are available for private parties, social occasions, or corporate functions. 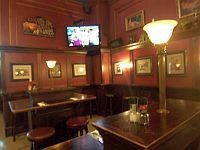 The Local is a great place to meet friends, watch soccer or rugby, have a few pints, eat some home cooked food, and feel like you are across the ocean in Ireland.